Who doesn’t think our Internet and broadband prices are too high? For years now, Ive been tracking the stories asking why in Zimbabwe we seem to be persistent sufferers of a certain lingering syndrome: Bills too high, Internet speed too slow. There are a quite a few studies that show Zimbabwe having “slowest” Internet speeds in the developing world and also the highest bills. The divergence is amazing. Compared to Rwanda, Nigeria and Morocco we have speeds four times as slow and we pay three or four times as much. Is this comparison fair? One thing to remember is Zimbabwe is suffering economically as a country with a lot of ground to cover if we compere ourselves to South Africa. This topic springs to mind from two news items, one you might have heard about and one you might not have. 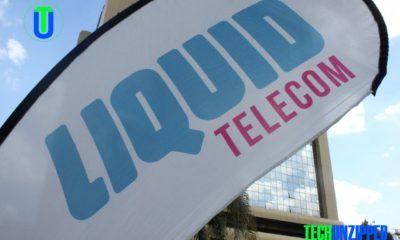 The big news: Liquid telecoms is creating by far Africa’s largest cable and Internet provider. The company is connecting Africa and is now the Biggest fibre network provider. The smaller news: Telco is now moving in to residual areas and at the moment waterfall is there current project. The real problem with the quality of our Internet services is that same companies have already created a monopoly access and this makes it extremely difficult for competitors to come in and lay cable to compete. Satellite is arguably a better service than cable but satellite providers cant provide bundled Internet and cheap installation. 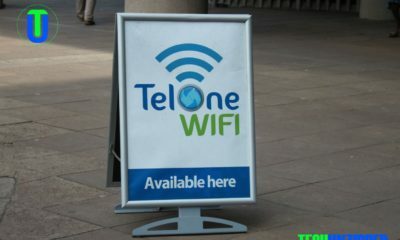 But for me ADSL from Telone is a winner, installation is cheaper than most is not the cheapest. The result is what generally happens when private companies have a monopoly and consumers have nowhere else to go: High prices and poor customer service. Thats why customers are still committed to the already existing service providers. Back to the issue: Our Internet service as a country is slow and expensive by any standard. And we need to be on the lookout for any entity private or “governmental” that is standing in the way of improvement. One thing we can do now, however, is figure out ways to keep our cable and Internet bills as low as possible. Internet providers will offer you some great prices but only for an introductory time period. Just because your time is up doesn’t mean your prices should go up as well. As long as you are not in a contract you should be able to contact your provider and inform them that you are considering canceling your service. You will be surprised how quickly you become eligible for another promotion. The internet wars are just starting with Zol offering $39 capped at 15GB, Telone $25 capped 10GB just to name a few. And this is still expansive. And if we compere the prices to South Africa for example MWEB uncapped at R239, Afrihost at R197 you can get the full list here. Complain Regularly: Unless your service is perfect, it will probably go down from time to time. Don’t accept these outages without receiving something in return. Like most other companies, you can save money by complaining to your Internet service provider. Keep a log of your problems and ask for a statement credit every time you notice a service outage or even a slowdown. You do not have to pay an outrageous price in order to receive quality Internet service. Don’t Accept Any Offer Unless It Is in Writing: Broadband services have become a highly competitive market in areas where there are multiple providers. I once bought a modem and the sells person said it worked in my area of residence. Eventually, I learned the hard way sales departments will say anything to sign you up, while their billing departments will always claim ignorance. It has been a long time since having Internet service went from being a point of geeky pride to an essential utility. For those that can afford broadband at home, a connection to the internet is often taken for granted. But there are billions of people across the world that are still battling to surf the web. This shouldn’t really come as a surprise, but according to the Alliance for Affordable Internet (A4AI), there are at least two billion who still can’t connect to the internet at an affordable price. During Mobile World Congress, A4AI released its annual ‘Affordability Report’, which aims to highlight the nations that are still struggling with broadband connections and the associated prices thereof. “Across the countries surveyed by A4AI, a fixed broadband connection costs the average citizen approximately 40% of their monthly income, eight times more than the affordability target set by the UN Broadband Commission in 2011. Mobile broadband is cheaper but still double the UN threshold, averaging 10% of monthly income about as much as developing country households spend on housing” A4AI said in a statement. The UN target is for universal broadband access everywhere in the world to be no more than 5% of average monthly wages in that area. The report ‘Affordability Index’ divides the 51 countries monitored by A4AI into two categories: “emerging” and “developing”. Rwanda tops the continental list with an overall composite score of 52, followed by Nigeria and Morocco. Uganda and Kenya are also on the list. The report’s rankings, however, aren’t based on raw costs. They’re based on the “drivers” behind price, which includes scores for a country’s actions to reduce costs in the future too, including whether or not it has a powerful regulator that promotes competition, is freeing up spectrum for operators and encourages operators to work together on infrastructure. In the ‘Affordability Report’, countries are ranked according to various drivers such as effective broadband structures, enhanced competition, spectrum allocation, and infrastructure sharing models. Rwanda aspires to become a knowledge-driven, middle income country by 2020, with ICT as a central engine to fast-track the country’s transformation. Initiatives like Smart Rwanda are driving this transformation by providing affordable internet. You can get the A4AI report here. Proud Zimbabwean Citizen, loving everything Tech related.